By: Chad Elgas – President, All Season Window Tinting, Inc. This may be why you’re reading this. Someone may have told you that you shouldn’t install sun control window tinting films due to concerns with window film & glass breakage. I hope I can help to explain why you shouldn’t be worried. That is, as long as you choose an educated & experienced professional to consult with, as well as experienced expert installers to implement your selected window film product. First, a bit about glass breakage warranties. All of our sun control window film products include a limited manufacturer’s warranty that protects each client from expenses associated with glass and film replacement due to glass breakage. All reputable window film manufacturers offer a similar warranty. This coverage protects purchasers against the remote event of compromised structural integrity of glass, which we refer to as a thermal stress incident, i.e. broken glass. When all factors are properly considered, thermal stress events are extremely remote. When an analysis is done properly, the probability of a thermal stress event for All Season Window Tinting is less than .25%. That’s less than 1/4 of 1%. To put this into perspective, we deal with these events on about five out of every two thousand window applications. Thermal stress events can occur due excessive added heat absorption from the specific window film that is installed, in conjunction with the unique characteristics of your glass & environment. Your consultant is an important part of the process. If a window film consultant is not properly educated, or fails to exercise their education properly, you could end up being one of the people in the broken window camp. A consultant should know the limitations of the glass in question, the heat absorption of each of their products, be able identify condition factors that predispose the potential client to possible thermal stress risks, and calculate the impact that each of the existing condition factors have upon their product recommendations. If a window film consultant fails to do all of these things, thermal stress events of significant levels are a possible outcome. If glass & film combination implemented isn’t compatible, the results could be catastrophic. Who do you call if your glass breaks? A glass company. They often don’t see all of the windows in the world that have film installed and don’t break. They only see the ones that do. It’s important that the person you’re consulting with is properly trained to know the limitations of their products, and how they function to reduce energy gain. What’s the big deal, its plastic for your windows right? The process is much more scientific than this oversimplified conclusion. The process of installing window film goes far beyond the installation process exclusively. The consultation and assessment process is every bit as important as the film installation itself. In some ways even more important. The person you’re working through the process with should be offering more than just showing you samples and providing a cost proposal. Our consultation staff views the sales process as an opportunity to get to know our potential client, while providing an educational experience about window film. It’s imperative that the person you’re working with knows the glass. When I say knows the glass, I mean really knows the glass on a level that most people don’t. Glass Strength i.e. annealed, heat strengthened, tempered, laminated. 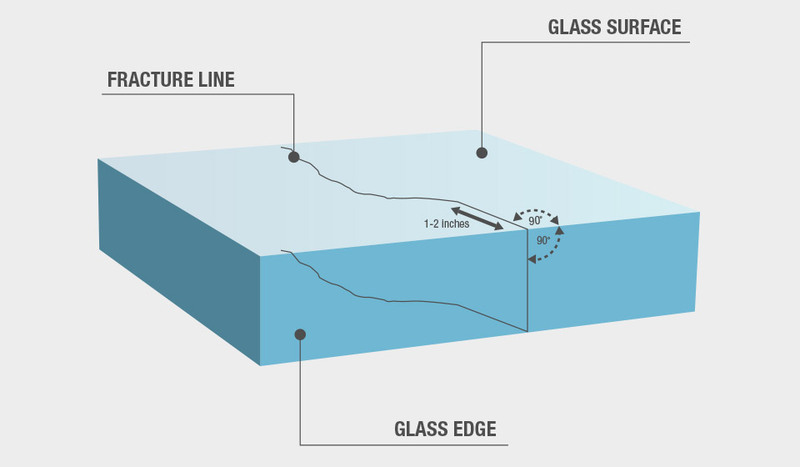 Glass Thickness – i.e. pane thickness, insulated glass airspace. Glass Composition – i.e. single pane, dual pane, triple pane. Glass Coatings – i.e. clear glass, Low E glass. Glass Coatings Efficiency – i.e. VLT, SHGC, U-Value, UVT. Glass Coatings Location – i.e. Surface 1, 2, 3 or 4. Condition Factors – i.e. factors unique to each customer’s architectural elevations, exposure & environment. Exposure – i.e. north, south, east, west. Our sales consultants are extensively trained to evaluate each potential customer’s unique glass characteristics, environment, condition factors and objectives. In some cases, our products have limitations, and it’s very important that we understand them. There are several reason why glass will crack with or even without window film. Thermal Stress – heat absorption & distribution on glass surface due to direct sun exposure. Tensile Stress – the weight of the glass itself. Flexing Stress – intense wind. Impact Stress – flying objects, birds, rocks, golf balls etc. Twisting Stress – building structure shifting & settling. A thermal stress event is a possible result of an improper window film compatibility evaluation, but occasionally a window can break even if everything is properly executed. Let me explain. Glass can be damaged behind the framing of the window, creating a weakness in the glass. This can sometimes take place while the glass is in transit, during the installation process, through structural settling or simply due to long periods of time. Properly specified window film adds acceptable levels of solar heat absorption to the glass surface. The added solar heat absorption, even though it is deemed an acceptable level for the glass, can occasionally act as a catalyst, exposing the weakness in the glass and causing the glass to physically crack. The good news is that these instances are already factored into our previously mentioned probability – About .25% of the windows we install film upon. Talk to your consultant. Don’t just ask for a price. Get to know the person and the company that is offering their products and service. Take advantage of the free education, and make an educated decision regarding your sun control window film product. Talk to your consultant about thermal stress risks. I hope you will know what answers to look for after reading this article. Make sure you’re comfortable with your consultant’s level of expertise before choosing who you will work with on your window film project. The good news is that glass breakage due to window film installation is almost completely avoidable. Always remember, that when it comes to window film, cheaper is never better. You will likely end up further ahead by spending a little bit more to work with a company that has highly skilled employees, and has adequate insurance coverage to protect your exposure. If you’re interested in learning the more technical details about thermal stress, you may click this link to download a document from Viracon, Inc. Viracon is a well established architectural glass manufacturer based in the USA. We hope this article shed some light Window Film & Glass Breakage. If you are interested in learning more about our products, please spend some time navigating our website. You can learn more about Residential or Commercial tinting by clicking the respective link. If you have any questions, contact the team at All Season Window Tinting at 800-874-8468, or Contact Us using our online form submission for an absolutely free, no obligation consultation and quotation on implementing home window film on your next project. Our service areas include Traverse City, Grand Rapids, Cadillac, Petoskey, Roscommon, Ludington, Michigan and the surrounding areas.